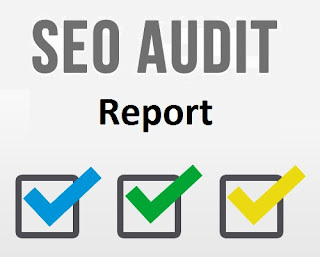 Hi All in this post iam providing the information how to prepare SEO Audit Report. Below I given step by step process and Some Tools Details. I hop after reading this article you can create audit report easily. 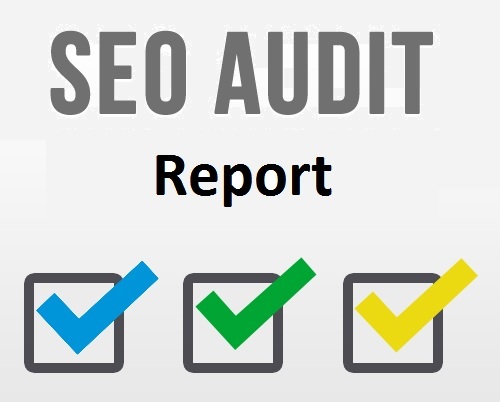 Actually it is basic SEO Audit Report based on this information you can create your own Audit report. SEO Audit report means providing the information of SEO Score of website. In this report we have to provide the position of a website in seo Rules like. Key words, On Page SEO and Off Page SEO. What we have to Place in this audit report? We have to mention the company Details. Next we have to mention client details. If it is new website you have to suggest the keywords. If it is old website we have to place what they target key words. Then we have to check the website position for their key words. After that we have to analyse the On page SEO Factors and place as tabular format. Content Analysis and its navigation (bots view). Yes! No perfect Title optimized. Yes ! There is no specific page wise meta keywords in site. Yes! No perfect SEO Applied for the description. Yes! Header tag optimization is Not Applied. · Content is not good and pages having less content. · Less key word density. · We have to optimize all the services pages. If it is new site it is enough data. If it is already exist website then we have to check their back link information by using SEM Rush Tools and some other tools. Or if they give webmaster tools login details we get the information from that also. Based on that back link analyzation we have to give the suggestion were they are in drawback and where they are in good. After that you have to place the competitor website details like website name and website url. After that we have to give conclusion about over all website. That is called website audit report. This Audit Report varies from company to company and project to project also. But all audit report will have this fields only like Keywords, On Page and Off Page Only. For Regular updates like my fb Page – fb.com/dmnarayana and share this article it is useful to your friends. What is search algorithm & how it affects SEO strategy?